Distance healing is any form of healing energy “sent” across time and space that is received and has a healing effect on the recipient. With this type of work, you do not have to be physically present with the healer to receive the healing. It may be done over the phone or at a special time set aside and agreed upon between you and the practitioner. As spiritual energy is not limited by time and space, remote healing becomes possible. A trained healer can set their intent on someone far away. The healer can be aware of the distant person’s energy. The healer can help the distant person remove blocks and unwanted energies from their system. The healer can also support the distant person in getting their own spiritual energy flowing, so they can heal themselves. 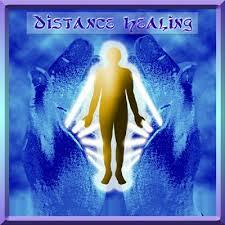 Distance healing can be calming and promote the release of stress and are a key part of holistic healing. It can also be revitalizing and help speed up recovery times for physical, mental, emotional and spiritual issues. These and other benefits can all happen from a distance. Remote healing is especially useful when there are physical or geographic considerations. If you are sick, bedridden, or would rather not leave your home for some reason…distant healing can support the spiritual wellness healing process without you having to leave the comfort of your own home. Or, if you live far away and transport is an obstacle for some reason…distant healing provides an alternative way to support healing beyond the limits of location. It is also reassuring to know you can support your loved ones’ healing process, even at a distance.